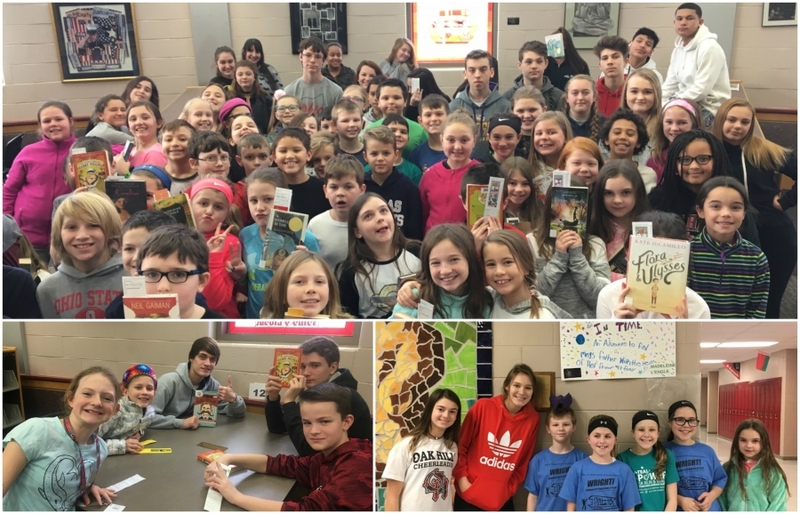 On February 22 & February 23, the Oak Hills High School Media Center hosted a Book Festival & Luncheon to celebrate the work our high school book mentors have been doing with 4th & 5th grade students from Dulles Elementary. Activities on these two days culminated efforts that have been going on all year. Four hundred and thirty students worked hard at activities that celebrate and promote reading. This public schools, public libraries and private partners collaboration to foster a community of readers joined Oak Hills Local Schools, the Cincinnati Public Library, Aroma’s Java & Gelato, Chick-Fil-A, Trotta’s, Bridgetown Finer Meats, Aramark Catering and the Mayerson Foundation. We are so excited to celebrate & support our students & their growth as readers.